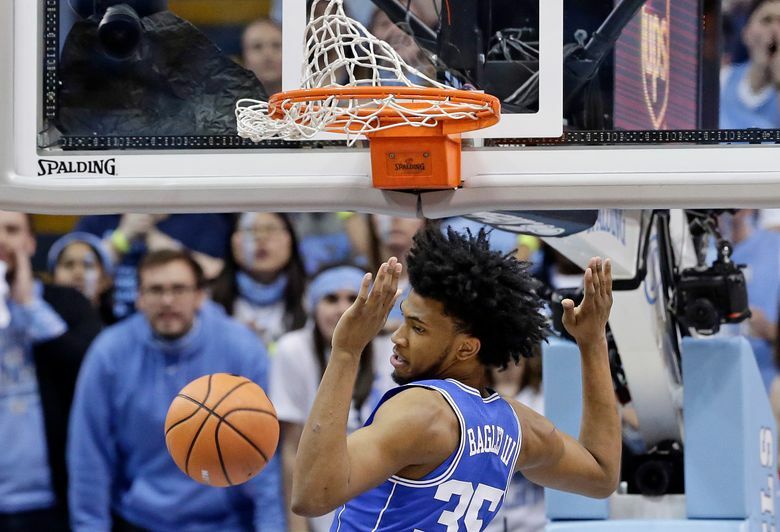 DURHAM, N.C. (AP) — Duke says forward Marvin Bagley III will miss a second game with a mild right knee sprain. Team spokesman Mike DeGeorge said Bagley would sit out Wednesday night’s game against Virginia Tech. The announcement came about four hours before tipoff. The freshman leads the Atlantic Coast Conference with averages of 21.2 points and 11.4 rebounds for the 12th-ranked Blue Devils (20-5, 8-4). He also missed a victory at Georgia Tech on Sunday night. He was hurt in the first half of a loss at No. 21 North Carolina last week, but played 39 minutes in that game with 15 points and 16 rebounds.